National Parks in the United States are generally large natural places with a wide variety of features - beautiful views, camping, hiking, birding, native animals and aquatic creatures waterways and historic sites. Hunting and mining are not allowed. The park system was established by President Theodore Roosevelt and has grown steadily since. The National Park System includes parks, monuments, reserves and historic sites. The parks were created to save the beauty and majesty of some of the most incredible places in North America. The Park System provides tours, guides and facilties all over the country as well as discount passes for seniors, children, families and handicapped individuals. Thank you to Ms. S. Jennings and her class from the Monument Charter Schools for taking the time to write to us and for letting us know how she uses this section of our site when working with her students - and, especially for her students enthusiasm for sharing an additional resource that they use. (See Ms. Jennings email to us and the students link directly below.) And - Ms. Jennings - WE ARE THRILLED YOU ARE USING OUR PAGE! It is exactly why our site has grown (overgrown!) so much and with an emphasis on child-safe and child-friendly content. We are educators at heart and using our site to further your efforts with your class help make all our work worthwhile. My name is Steph and I hope that I am not intruding on your day. I have been using your page (http://nedv.net/parks/) for topics and ideas to engage my students with and it has been very beneficial to myself and my students so thank you. If you would prefer that I didn't use your page please let me know. National Park Foundation: NPF is here to tell the stories of the National Park experience, and to educate and inspire people to get involved with their National Parks. Go Northwest! : the Pacific Northwest includes the states of Idaho, Montana, Oregon and Washington, with a small extension into Wyoming via Yellowstone National Park. 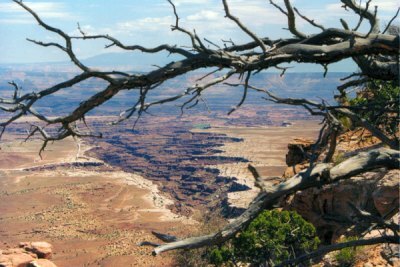 Utah: With five national parks, Utah is America's national parks capital! The national parks include: Zion National Park, Bryce Canyon, Arches National Park, Canyonlands National Park, and Capitol Reef National Park. Mapping the National Parks: collection documents the history, cultural aspects and geological formations of areas that eventually became National Parks. Death Valley National Park: more than 3.3 million acres of spectacular desert scenery, rare desert wildlife, complex geology, undisturbed wilderness and sites of historical interest. Death Valley is unique because it contains the lowest, hottest, driest location in North America. 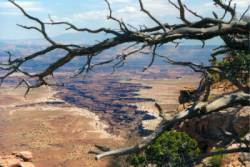 Area Parks Network: A comprehensive guide to every national park within the United States of America. This network also includes many of the national monuments.